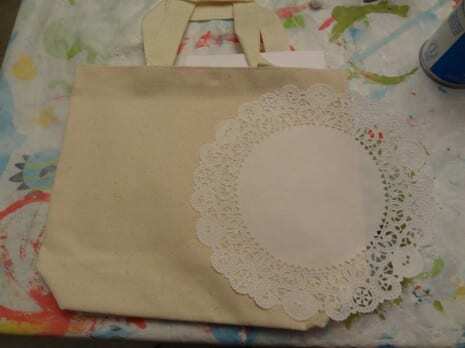 Start by spraying adhesive onto the doily and place it on your bag. 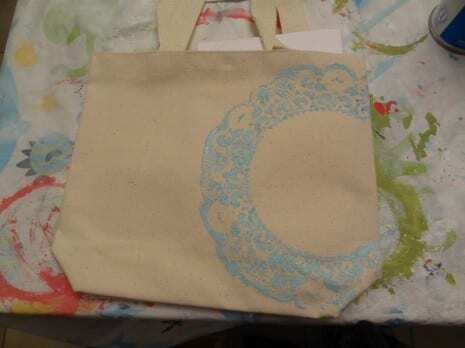 With your sponge brush paint over the doily and on the rim of the doily. 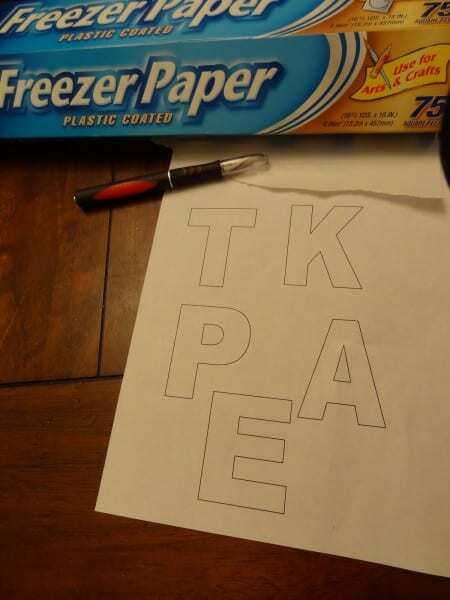 Trace your initial onto your freezer paper, wax side down and with an xacto knife cut out your initial. 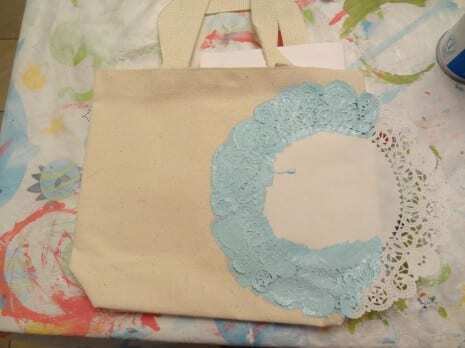 Then with a hot iron and freezer paper wax side down, iron the paper until it sealed on your bag. 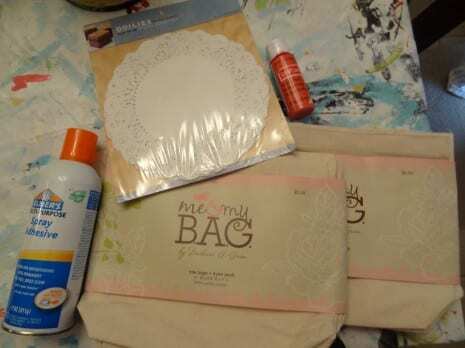 Also, if you haven't seen the photos from the party these bags come from, you must. It's that gorgeous! And finally, to learn more about Caroline and see all her great party tutorials, please check out her blog, Oh Pickles! Simple, and oh-so-fabulous! I love genius ideas like these. AWESOME! 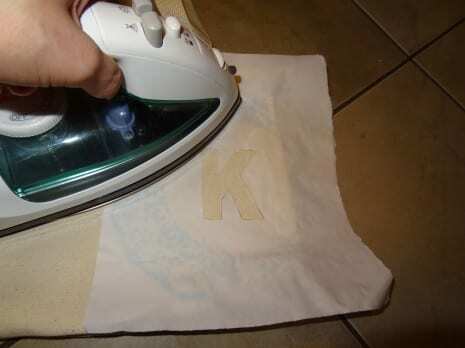 What font did you use for the letter initials? I used Arial black because it is thicker and easier to cut out. 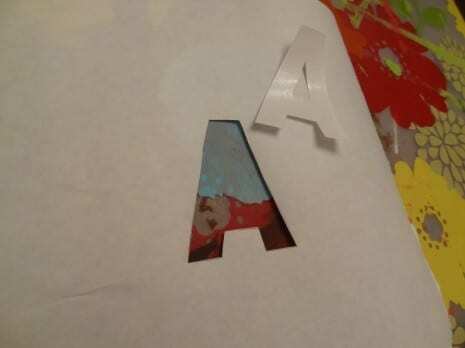 You do need to let the paint dry before doing the letter because the freezer paper will overlap some of the paint. 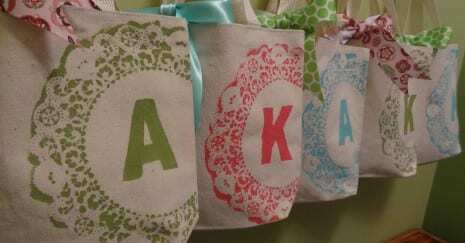 These are adorable...where did you find the little tote bags?